Schmidt, one of Europe’s leading kitchen furniture manufacturers, is offering a new made-to-fit solution called, Perfect Fit. Perfect Fit is a concept that fits a space down to the last millimetre at no extra cost. From floor-to-ceiling cabinets that make the most of a high ceiling to pull-out shelves with insert drawers, full height doors and bespoke units, every inch is utilised. Almost all of the European kitchen furniture factories offer some form of range customization, often referred to as ‘specials’, and also often with a hefty price tag as well. With Schmidt however, there is no extra charge for the first three bespoke units. Schmidt says its Perfect Fit solution offers custom-made design with bespoke elements to suit all budgets. 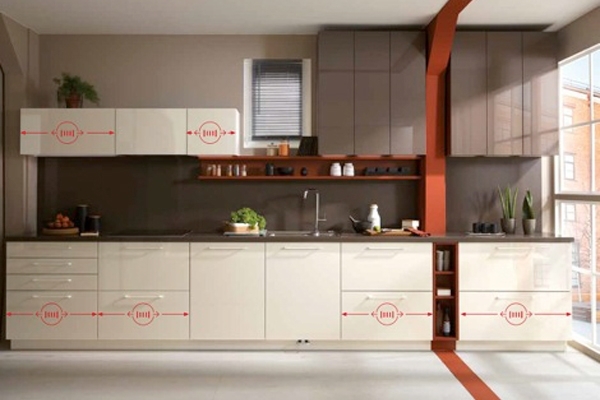 Consumers can choose from one of the many kitchen collections available then, where applicable, Schmidt will manufacture additional units to suit the space, such as filling (to the millimetre) any narrow gaps at the end of a run. And as there’s no extra charge for the first three bespoke units, careful kitchen planning can make Perfect Fit an affordable solution to creating a perfect fit. Schmidt kitchens usually retail from around £7,300. About MyTub, an online shop for quality affordable plumbing supplies.